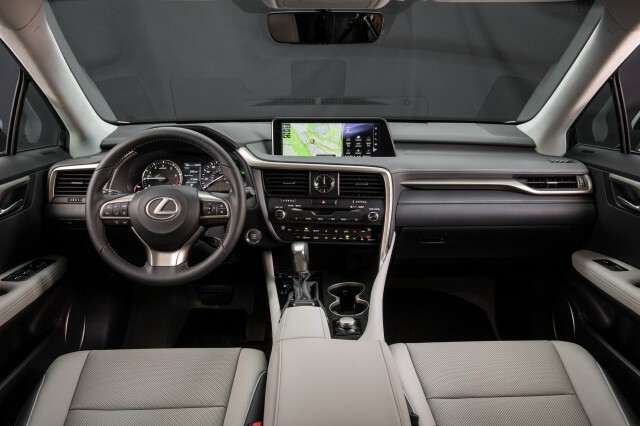 The Lexus RX pretty much invented the luxury mid-size SUV category, and it remains a substantial part of the brand's sales in the U.S. 20 years later. It was also the brand's first hybrid crossover, sharing underpinnings with its larger and less-pricey Toyota Highlander Hybrid sibling. The RX was recently redesigned, and we've now had a chance to test it over a long weekend of mixed use. We covered 325 miles along our usual test cycle, comprised of about two-thirds highway miles and one-third city and suburban lower-speed traffic. The 2017 RX hybrid is rated at 31 mpg city, 28 mpg highway, for a combined EPA rating of 30 mpg. That's high for such a heavy, luxurious crossover utility vehicle. Our test car returned an indicated 27.6 mpg on the dash display, within the 10-percent margin we usually expect from hybrids. We'd have expected that number to be a little higher with fewer highway miles, since the hybrid can take more advantage of its ability to run electric at lower speeds in city driving. The results we achieved in our 2017 Lexus RX were further off the mark than a 375-mile test of the Highlander Hybrid done back in June 2014. In that vehicle, rated by the EPA at 28 mpg combined (27 mpg city, 28 mpg highway), we returned 27.0 mpg on the display. 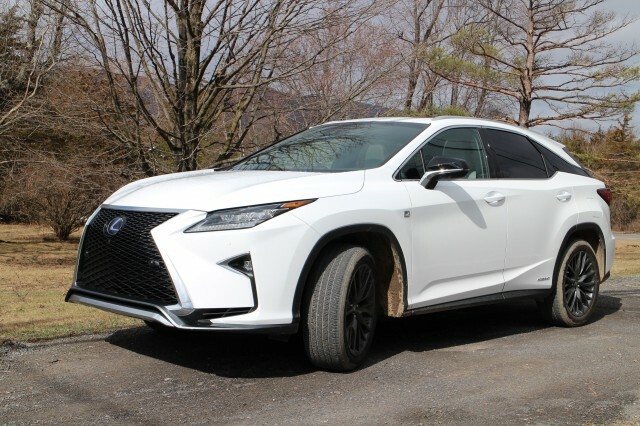 In the preceding generation of Lexus RX hybrid, meanwhile, we got an overall indicated figure of 26.8 miles per gallon over a 750-mile test prompted by a reader complaint that the large hybrid SUVs didn't meet their EPA ratings. That was roughly 10 percent lower than the EPA combined rating of 29 mpg (30 mpg city, 28 mpg highway). Overall, we conclude that if they're driven in a low-drama way, the Toyota and Lexus hybrid mid-size crossovers can approach their EPA ratings. To meet or beat them, though, you likely have to focus on maximizing the electric-only capabilities of the hybrid system and spend a lot of time in lower-speed traffic. 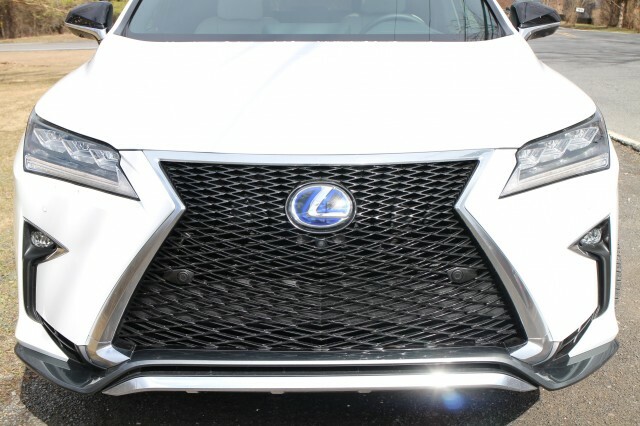 Our test car, an "Ultra White" 2017 Lexus RX 450h, carried a base price of $58,495. 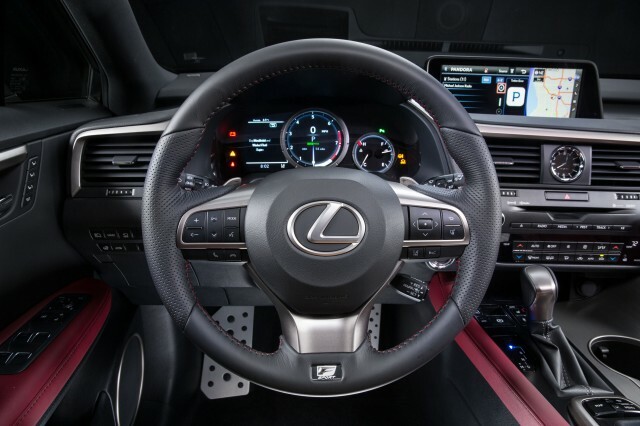 It was fitted with four options, by far the most expensive of which were the triple-beam LED headlamps, at $1,615. The panoramic rear-view monitor (very useful for this large vehicle) was $800, the navigation system and 12.3-inch display screen was only $430; and a touch-free power liftgate was $200. Adding a mandatory delivery charge of $975, the bottom line on the window sticker was $60,515.